GEORGE TOWN, Mar 10 – About 3,000 over crowd join the USM 12th Chinese New Year Charity Gala Celebration with Astro All Stars- Nicole & William. The event was officially launched by Yang Berhormat Senator Profesor Emeritus Tan Sri Dato’ Seri Dr. Ibrahim Shah bin Abu Shah accompanied by Yang Berbahagia Profesor Dato’ Dr. Adnan Hussein at Dewan Tuanku Syed Putra (DTSP) here on Sunday evening. 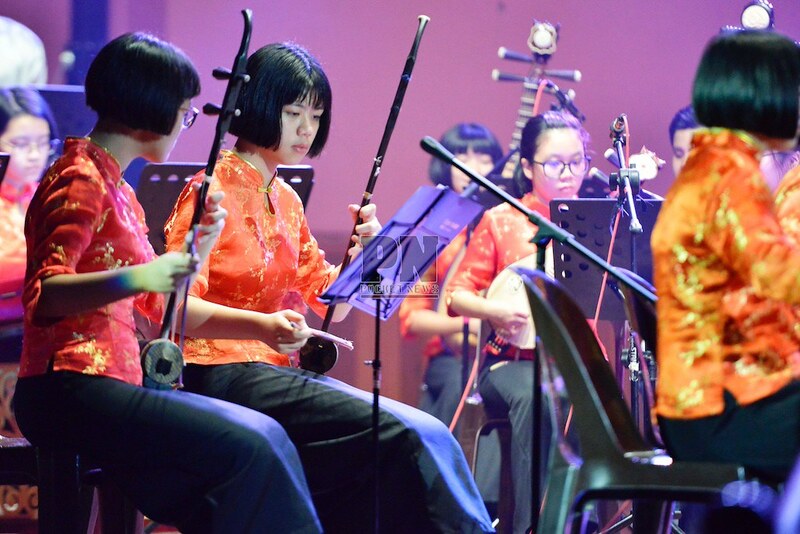 This event was organized by Chinese Arts & Cultural Secretariat of USM with marking its twelve year of organizing the Chinese New Year celebration. The USM 12th Chinese New Year Charity Gala Celebration is named ‘We Wish, We Hope’. The concept and core value is always the backbone for a successful event and carries the true meaning of the event.